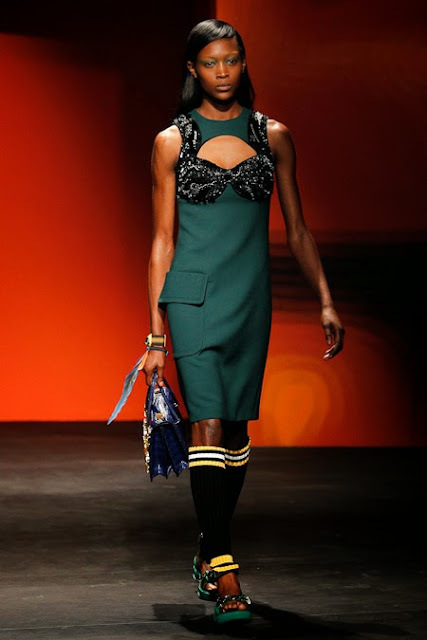 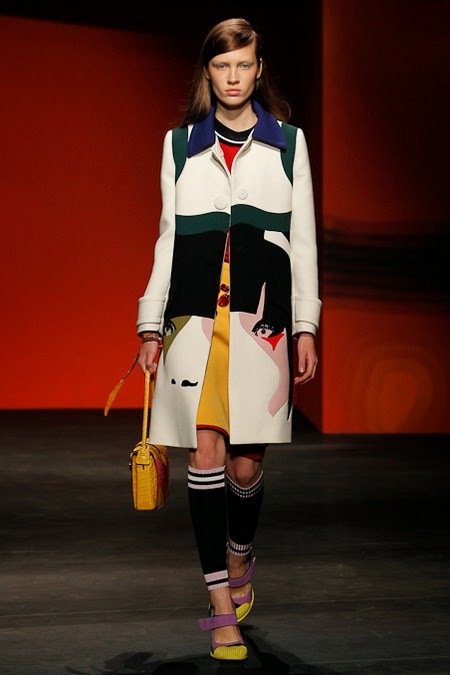 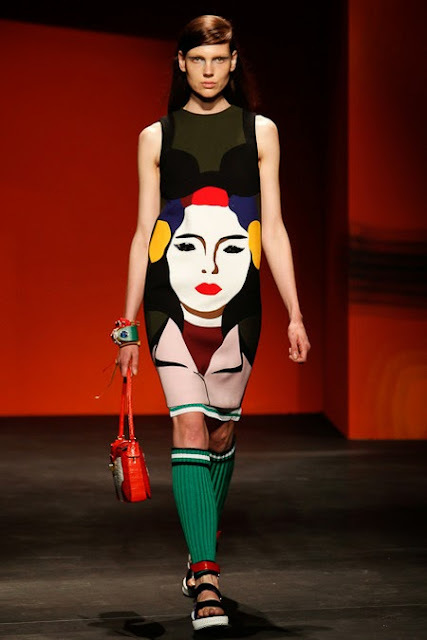 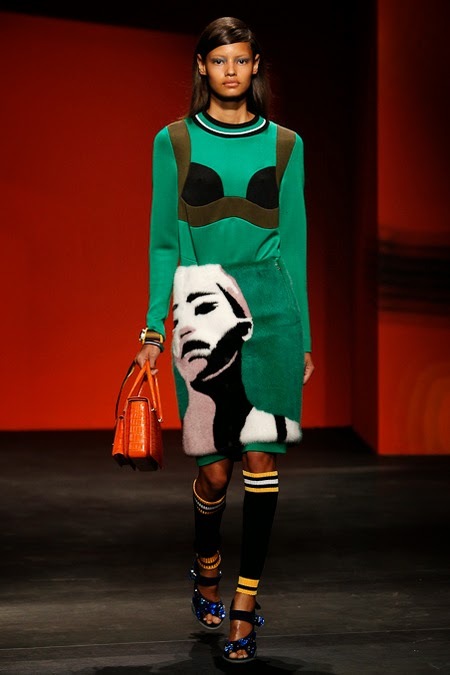 Prada's Spring/Summer 2014 collection was an explosion of colour and artistic expression which saw casting director Ashley Brokaw mirroring the designer Miuccia Prada's vision with a cast comprised of models of the moment and a deluge of brand new exclusives. Current and former campaign girls Amanda Murphy, Cameron Russell, Malaika Firth, Fei Fei Sun, Vanessa Axente, and Irene Hiemstra were back on board while fashion's latest it girls Lindsey Wixson, Grace Mahary, Sasha Luss, Mijo Mihaljcic, Chiharu Okunugi, and Daiane Conterato lent an air of familiarity to the proceedings. 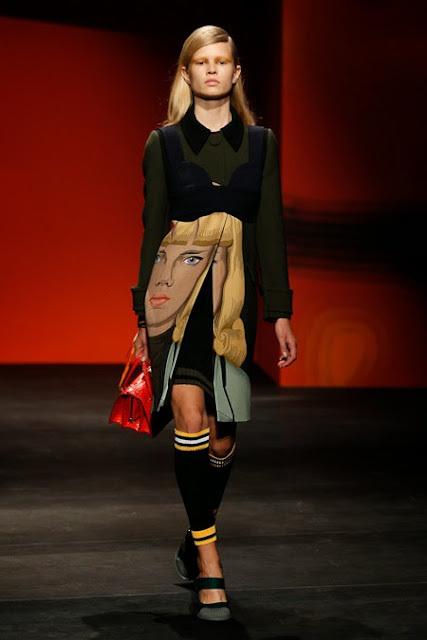 Dominating the Spring/Summer 2014 proceedings were a blanket of exclusives which included Irina Liss, Mariana Santana, Betty Adewole, Nastya Sten, Emma Champtaloup, Julia Bergshoeff, Emilie Ellehauge, Sabrina Ioffreda, and Devon Windsor. Among the notable standouts were Estonians Maarjan Ridalaan and Harleth Kuusik, Dutchie Julia Bergshoeff, American Devon Windsor who also happens to be casting director Angus Munro's current favourite, New Zealander Emma Champtaloup, Claudia Schiffer look-a-like Anna Ewers, and the striking Russian Irina Liss. 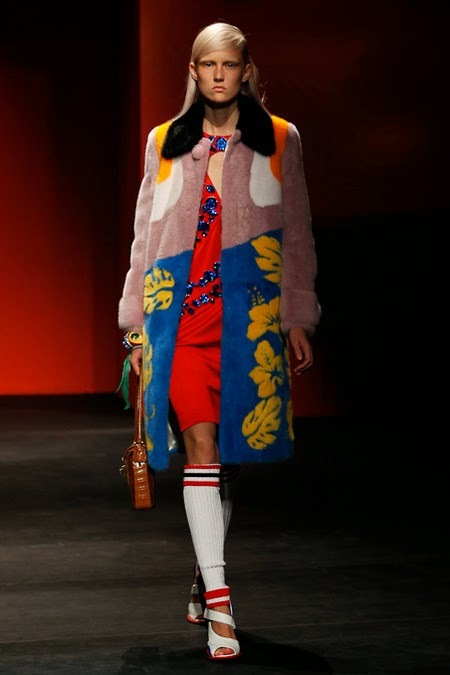 Stealing the show though were a trio of coloured models who were the very embodiment of Miuccia Prada's Spring/Summer 2014 uprising. 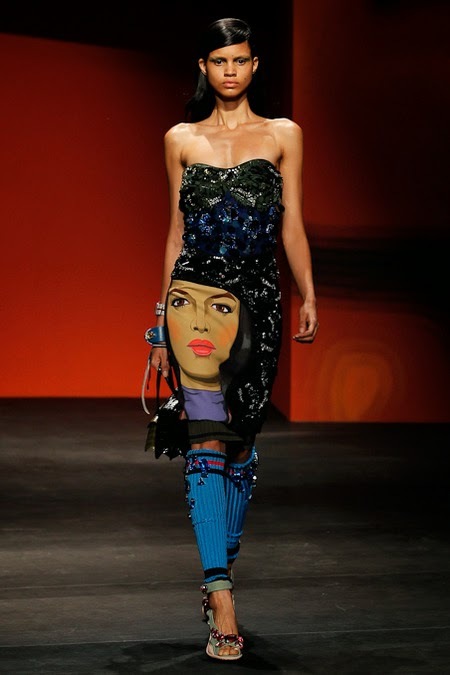 Brazilian Mariana Santana was the only model aside from show opener Amanda Murphy to be assigned two looks, while Britain's Betty Adewole followed up her Tom Ford exclusive with another show-stopping appearance, and finally, who could resist the truly original and captivating Tennessee cutie Leona Binx Walton who has charmed her way through an otherwise stellar Spring/Summer 2014 show season.